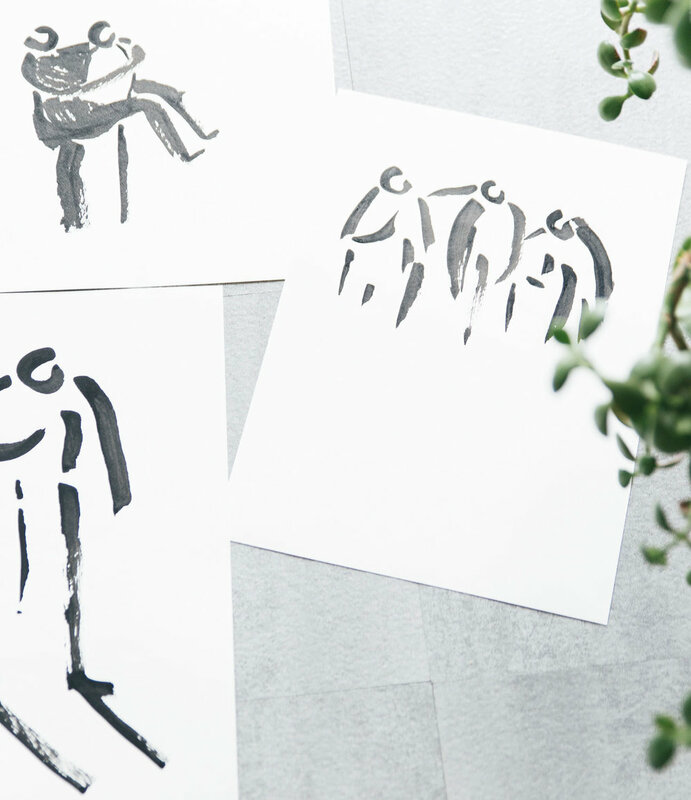 “I like the idea of making something that can bring joy every day to the person who has it.” Montreal-based artist Salina Ladha’s hope has unquestionably been fulfilled—her recent discovery of delighted strangers tattooed with her drawings serves as a perfect example. While Ladha’s art takes an array of forms—from wrist tattoos to record covers—her practice primarily centers on ceramics, illustration, and painting (the three mediums she studied while attending Nova Scotia College of Art and Design) For the past six years, Ladha has been living and working in Montreal, where she creates work using thoughtful lines and minimalistic shapes. 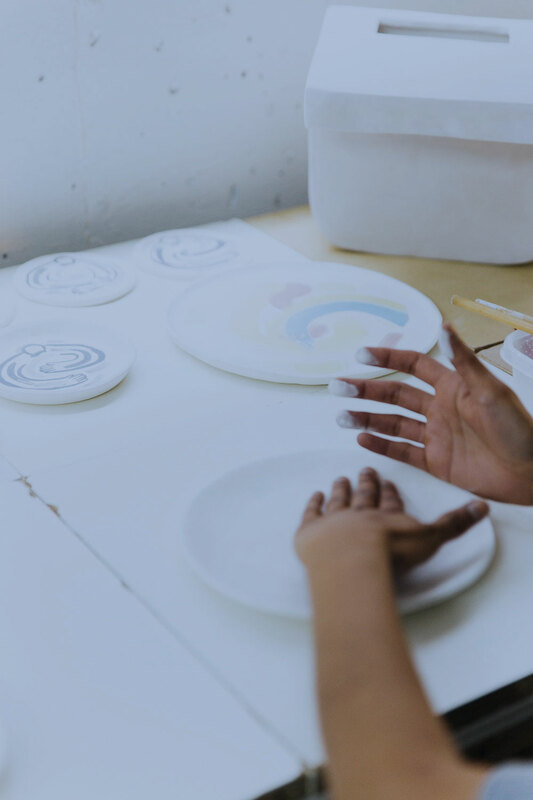 This summer, I spoke with Ladha about working with clay (her preferred medium), her inclusive approach to figure drawing, and being studious in the studio. Ella Viscardi: Where does your creative process start? Salina Ladha: With ceramics, I usually think of the [piece] first. Then right before I'm about to build it, I'll do a rough sketch. Since the nature of clay has a give and take, you can try and make something [look] perfect, but the clay is always going to dictate a little bit. So when I go into making a sculpture, I may have a plan going in, but it always changes. Since I can only pull the clay so much in one direction or another, I'll listen to where the clay wants to go. Since I can only pull the clay so much in one direction or another, I'll listen to where the clay wants to go. EV: What is it like working in Montreal? SL: There's a vibe in the city that’s very relaxed. It's cheap to live here, which gives me more time to focus on my artwork. I think a lot of other artists also take advantage of that, which is really cool. The pace of life is slow, and that plays into being able to spend a month making one thing without having to worry about making a bunch of things and making money and the cost of living. I never feel rushed. EV: How would you describe the subjects of your drawings? SL: Maybe soft. They're not very refined or realistic drawings. I've always drawn stylized figures and faces, and over time, they've become more minimalistic and less descriptive. They don't have a specific gender or a specific race—they're just these soft blobs. I want to draw something [representative of] a human, but not a specific person; I want to draw a figure that can be relatable to anyone. Going to Japan and seeing all the mascots in signs and logos really inspired my most recent figures. EV: What is your approach to creating album artwork for musicians? Any favorite covers? SL: Usually I'll listen to the music and ask the artist if there’s other art they like or specific things that inspire them. Then I'll work off of [those] references to make my own version. I haven't really had an album art commission where the artist wanted something exact; I've pretty much had free range. Fresh Air by Homeshake and Scented Trip by Project Pablo are the two covers I like the most. EV: Do you have any words of advice for our readers on creativity? Follow Salina’s work on Instagram @salinagram.